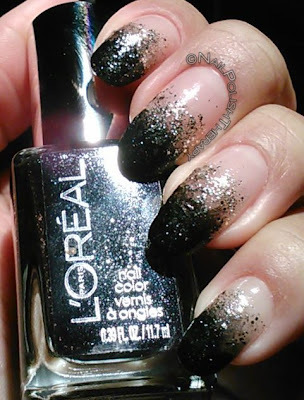 Loreal Gradient, Your Nail Polish Therapist has been hauling polishes for weeks now but had no time to blog. Work, school and volunteering have be so busy, I have no energy to sit in front of a computer more than I already have to with work and school. So until my school load slows down I've decided to blog once a month and do about 3-4 posts. I appreciate all of you following me and hope you've enjoyed my posts thus far. This post features my first gradient. No I'm not on the cutting edge and there have been many gradients done but this girl didn't have the right sponge and wanted to make sure it was great before posting. 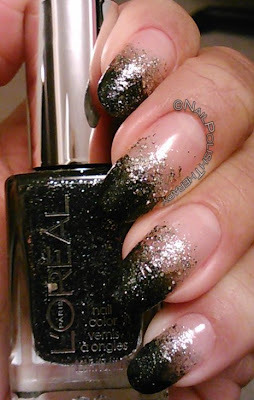 So for this manicure I used Loreal The Queen's Ambition and Sparklicous. 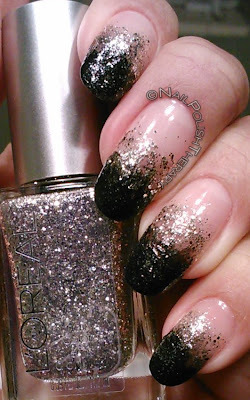 These are two beautiful glitters that compliment each other well. 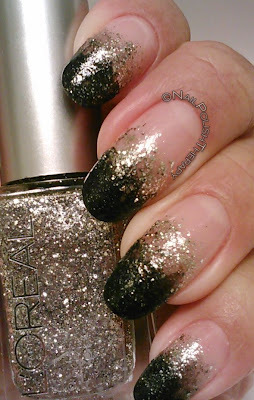 For the base of the nail I used Essie True Love. Walgreens was having a sale on Loreal a few weeks ago so I picked up a few beauties. I have to say that I'm impressed with the formula on both of these and the amount of even coverage it provided.